Hey! There’s a few announcements! 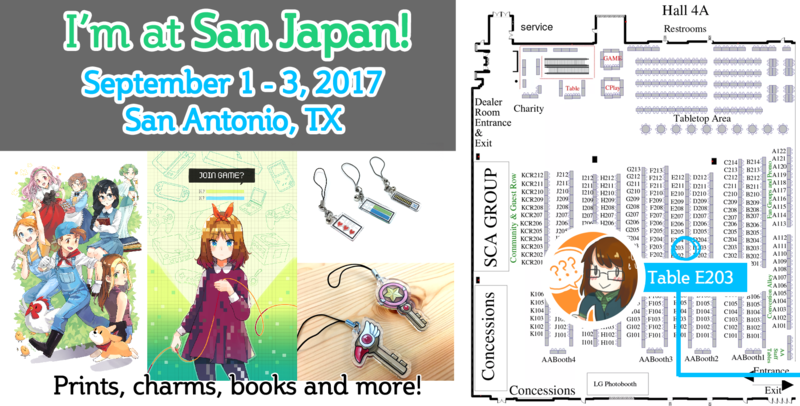 First, I’m going to be at San Japan in San Antonio from Sept 1 – 3! 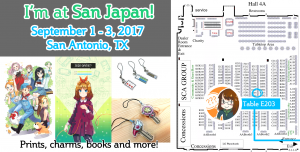 I’ll be at Table E203 in the Artist Alley! Second, I’m having a small Labor Day Clearance Sale on my Etsy store from August 31 to Sept 4! Some of my older prints and buttons will be on sale for 10% off, and I will also be putting up bargain deals on holiday Nintendo-themed greeting cards that printed out a little less than perfect! Please take a look then!